The Town of New Tecumseth has reached out to the Province of Ontario to inquire about any potential funding programs that may be available to help residents who have experienced damage to their private property as a result of the heavy rainfall on June 23. 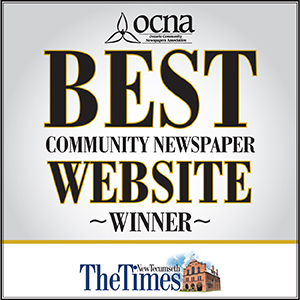 Or, visit the Town website at www.newtecumseth.ca and follow the links to the survey, or please pick up/drop off a paper copy at one of our recreation centres – Tottenham Community & Fitness Centre, 139 Queen St. N. in Tottenham, the New Tecumseth Recreation Centre, 7300 Industrial Parkway in Tottenham or the DA Jones Library in Beeton, 42 Main St. W., the Town Administration Centre, 10 Wellington St. E., Alliston or at the Joint Operations Centre, 6558 8th Line, Beeton. If you have previously contacted the Town and shared information about any damages you may have had to your private property, we ask that you complete the survey in order to be included in the data submission to the Province. The information collected through the survey is not a claim form and no reimbursements or payments of any kind will be made based on the responses. Residents are encouraged to contact their insurers. The information collected through the survey will allow the Town to provide necessary information to the Province regarding the extent of damages in our municipality as a result of the flooding event on June 23, 2017. Once the Town has a firm number on impacted properties, the municipality will provide that information to the Province of Ontario. From there, the Province of Ontario will determine whether or not a provincial government representative will attend our municipality to complete an assessment of the damage. If they choose to do an assessment, the Province of Ontario will then make the decision as to whether or not New Tecumseth and its residents are deemed eligible to access any available funding programs.